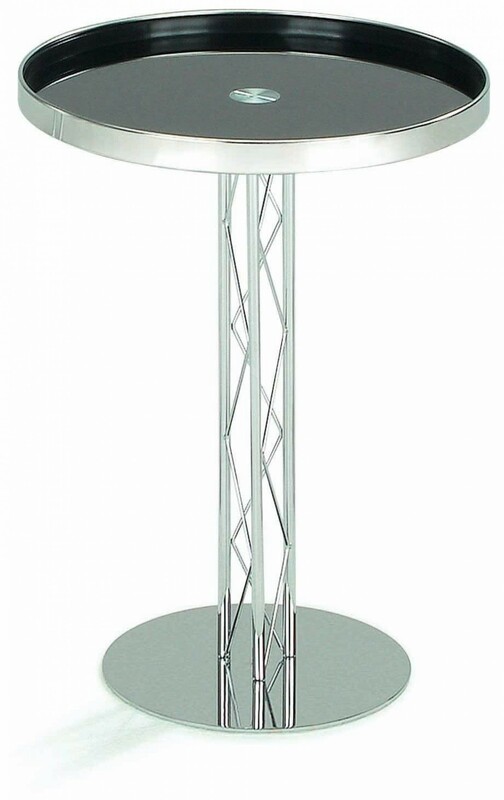 This Modern Chrome Plated End Table is sure to be a conversation piece with its chrome accents. 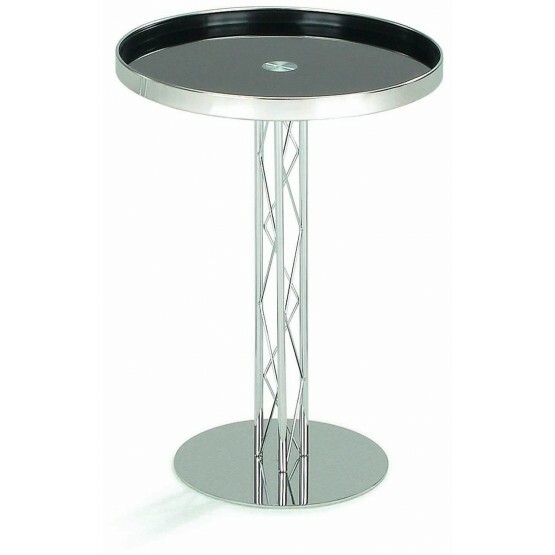 The table top's tempered glass allows for easy cleaning and a contemporary feel that will blend well in most modern or contemporary spaces. W18.11" x D18.11" x H21.65"